It's nice to hear the opinion of our members and at Wales Air Forum we make it so easy. Our discussion forum allows you to discuss any topic related to aviation in Wales. Click here to access. 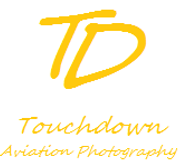 A blog based on a a new aviation photographer based in South Wales who is a member of Wales Air Forum. Follow him on his travels and see how his images improves with practice.